Imagine a restaurant right in the heart of the CBD serving delicious, locally grown food, plus desserts from Milse (my favourite hangout), with the dessert bar literally only being a hop, step and a jump away?!?! 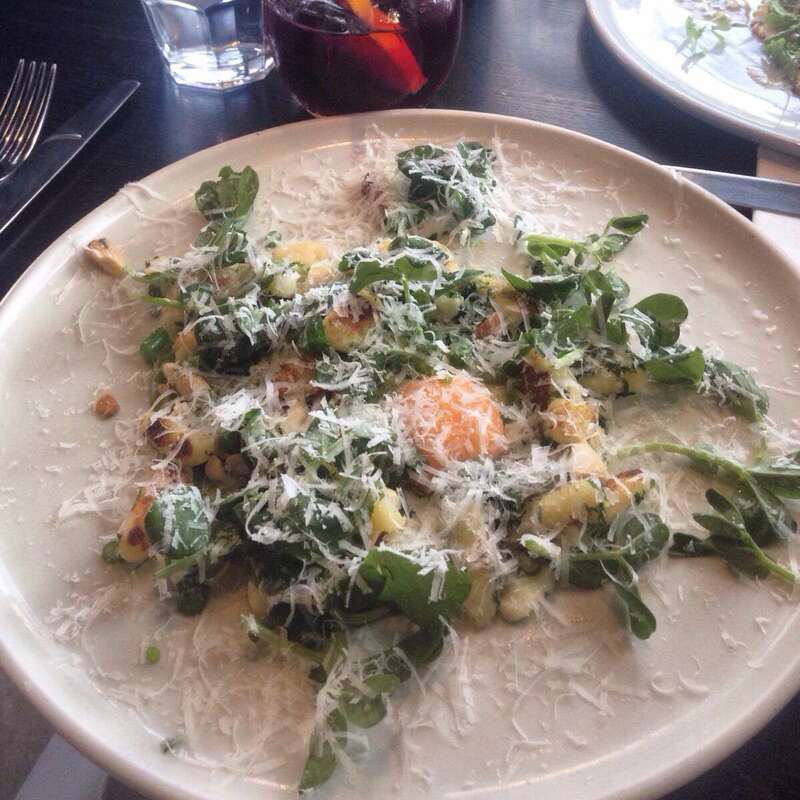 Sounds fabulous of course, and you’ll find it all at Ortolana in Britomart! The first time I dined at Ortolana it was a beautiful, crisp Saturday night. Luckily there was no wait for a table (they don’t take reservations but have a waiting list system which they say works well). We chose the cushion seats inside because they looked the most comfortable. 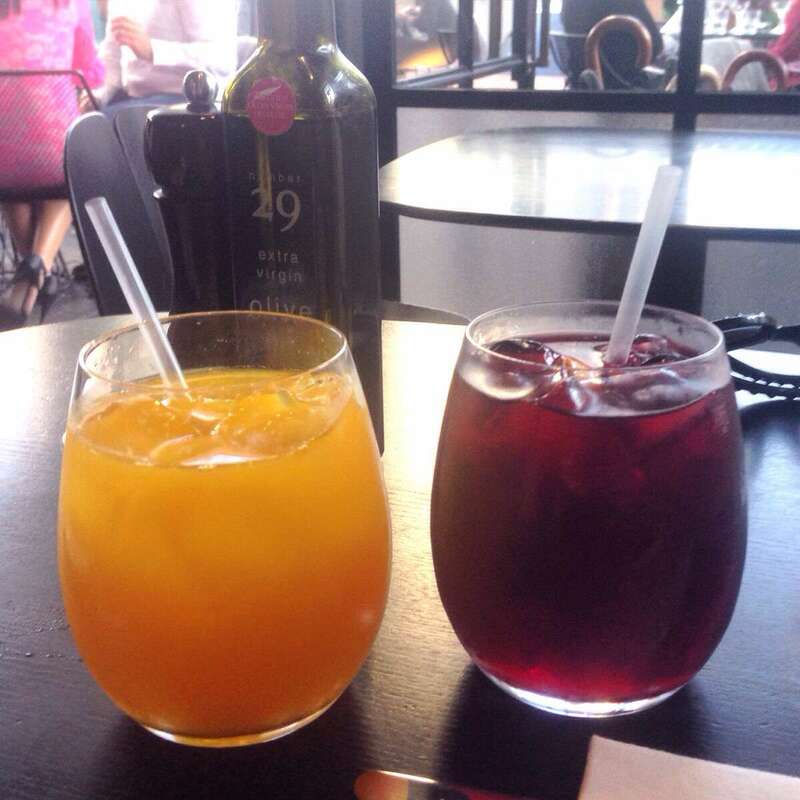 We were both leaning towards something refreshing to drink, so went with a citrus juice and a mango iced tea, which were perfect accompaniments to our meals. There is also a short drinks list consisting of wine, digestives, sodas, smoothies and specialty cold/hot beverages (which all sound lovely). The menu is European based, with all their produce either locally sourced or grown in their orchard out at Kumeu. There are some unusual names on the menu, but don’t fret (as we nearly did) just ask your waiter as they are quite knowledgeable. I ordered the gnocchi verde with cavolo nero, mozzarella and an egg yolk ($20). My friend ordered the crayfish ravioli with preserved lemon and garden herbs (also $20). Both meals were full of flavour, but also not overly filling. This is the kind of food I like! It was still satisfying and yet we still had enough room for two desserts from Milse – bonus! The service was great – staff were super friendly, water glasses were always topped up and we didn’t have to wait long for our meals. I recently went back for lunch last weekend. Because of my love for breakfast and sweet dishes, I knew I just had to order their organic millet and buckwheat granola with pear and yoghurt mousse. Every mouthful was creamy, dreamy, and so good, that I stopped chatting to my friends because I was so fixated on it. My friends also ordered coffees, plus the garden greens/organic grains/poached egg dish, the homemade sausage/folded egg/tomato dish and the young romano and leek omelette. They all said their dishes were perfect and that they wouldn’t change a thing. Ortolana is truly the real deal. Head here now for some delicious, locally grown and organic food – you won’t be disappointed!! !